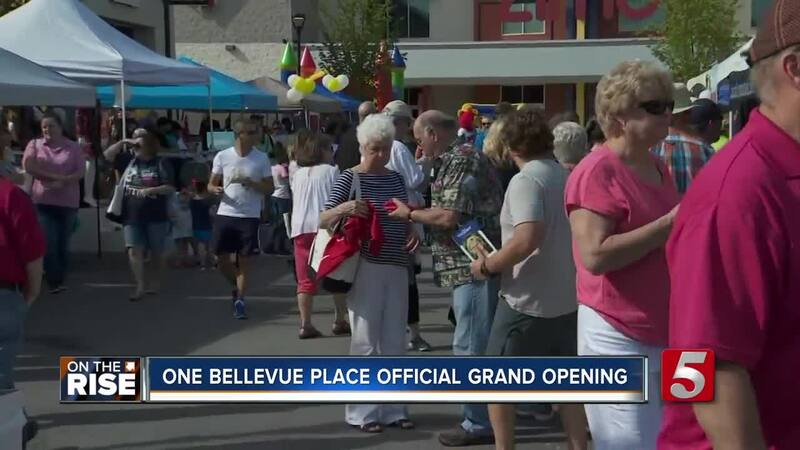 City officials, vendors and community members celebrated the grand opening of the mixed-use shopping center "One Bellevue Place." The event was open to the public and featured live entertainment, food, giveaways, kid-friendly activities, and gifts bags for the first 250 event attendees. The development is a big deal for the Bellevue neighborhood. Ever since the Bellevue Center closed down in 2008, Metro has been trying to figure out what to do with this space. Community members in the area say they are not surprised developers are deciding to invest Bellevue. One Bellevue Place has multiple major retailers including Ross, HomeGoods, Micheals, and Kirklands. It also includes apartments that are located within the center, multiple restaurants, a movie theater and other businesses that offer other services. One Bellevue Place is located at the intersection of I-40 and US 70 South, just 10 minutes from downtown Nashville.